The best prawns you've ever tasted! 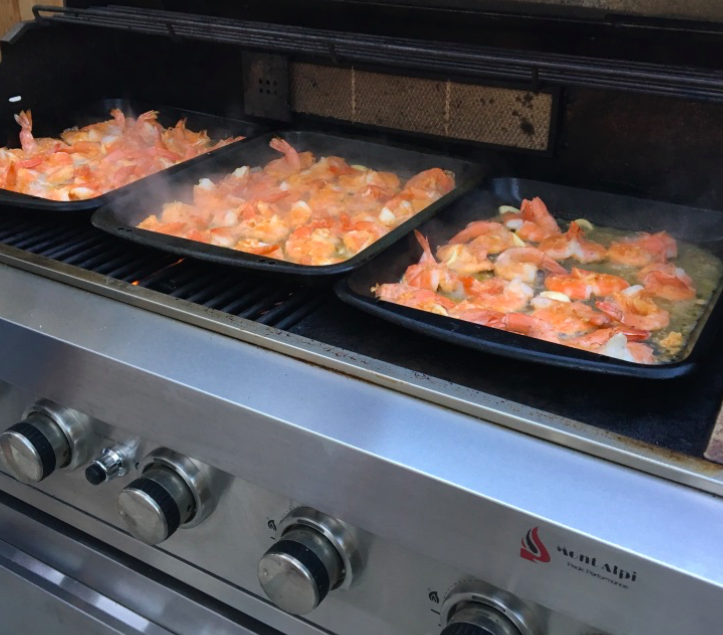 These prawns are a winner every time. 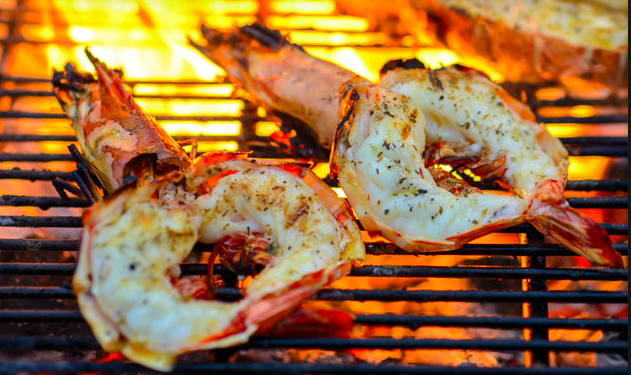 They are bursting with flavor and smell delicious on the grill. A go to for a summers day! Squeeze 6 lemons into a bowl, leave the pips in for extra added flavor. Add the olive oil, chili oil, tabasco, sriracha, freshly squeezed garlic and salt and mix well. Butterfly the prawns by cutting them open down their spines with a sharp knife. An insiders tip on knowing if your prawns are fresh is to check the eyes, they should be nice and round and not sunken. Once cut wash out the head cavity and remove the vein. Shale off surplus water. Pour half the sauce into a roasting pan. Place prawns butterfly side down in the sauce. Pour the balance of the sauce over the top of the prawns and sprinkle with salt. Place the pan on your Mont Alpi at high heat. The BBQ should be preheated. 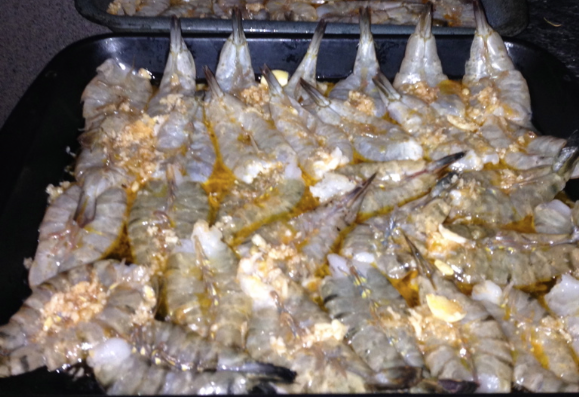 Prawns will change from gray to pink, allow to cook through (+/- 5 minutes). Do not cook for too long, they will become small and tough. Remove from the pan and place straight on the grill legs side down to crispify. Melt together the juice of 2 lemons and 1 stick of butter and 4 cloves of crushed garlic. Pour over the prawns and serve. We suggest serving these with "fun rice" (see recipe in sides), green salad (see recipe in off the grill) and a deliciously cold Pinot Grigio.